Comes with a free piano bench. This Artist Series Baldwin grand piano model M (5ft2″), is completely hand crafted in the United States. The Artist Series is Baldwin’s highest quality piano series not to be confused with other models with the Baldwin logo on the fall board. The price for a new model M Walnut baby grand today is in the mid to upper $30K. The cabinet is finished in American walnut. 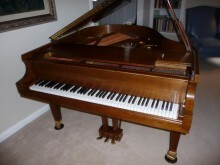 This instrument has been regularly tuned and serviced by a professional piano tuner. Grandma took care of this baby, not a scratch finish is a good as the 1s t day she got it,.. the piano is structuraly perfect, plays like a dream all we had to do is tune it once! 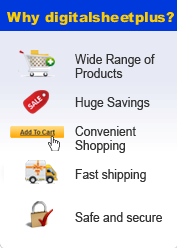 Payment Method: We accept e-check, bank transfer, Installment. FREE SHIPPING U.S. and Canada! Click the button below to add the Baldwin Walnut Grand Piano Artist Series Model M (Used) 126693 to your wish list.